You’ve got Oscar-nominated movies right at your fingertips! This month on TDS TV On Demand catch two best picture (and Golden Globe winning) nominees. Plus, you can also see one of the best animated movies of the year, perfect for the whole family. But wait, there’s more! Another family hit, a unique comedy-horror, a spine-tingling documentary, just to name a few. Snuggle up on the couch, grab your remote, and start watching. This movie almost doesn’t need an introduction. This Academy Award nominee for Best Picture already won Best Picture at the Golden Globes. Star Rami Malek also won for his portrayal of the incomparable Freddie Mercury—also winning a Screen Actors Guild and a BAFTA Award for his performance. 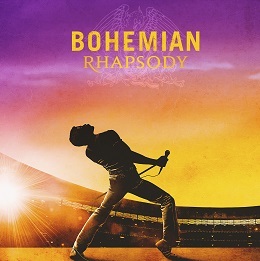 The movie is a celebration of Queen and their rise to fame. The movie, like the band, is a showstopper. Watch it again if you saw it in the theater or watch it for the first time if you didn’t—you aren’t likely to regret it. Watch this Best Picture nominee before the Oscars! In fact, if you Google this film’s various nominations, you’ll find more than 45—it’s just that good. Bradley Cooper stars as Jack and Lady Gaga as Ally, and both deliver huge performances (Sam Elliott is at his finest, too).The music is also quite something, and when you watch the movie you’ll understand why “Shallow” is such a big hit. This is Cooper’s directorial debut and he clearly knocked it out of the park. .
Sure, it’s Cupid’s month, but that doesn’t mean the whole family can’t sit down and enjoy a little Grinchy fun. You know the story from the previous iterations, but this time Illumination Entertainment—the studio behind Despicable Me and Minions put a fresh spin on it. Benedict Cumberbatch (who plays Sherlock and Doctor Strange, just to name a few) plays the Grinch in this bright retelling. It’s been six years since Wreck-it Ralph escaped his own video game and this time he heads to the internet. Ralph and Vanellope von Schweetz team up to help save her game, Sugar Rush. All of your favorite characters are back (including Felix and Calhoun), but with plenty of new characters, too. This movie has been called “clever” because it doesn’t pander and “a great expansion on the original concept.” With a Certified Fresh rating from Rotten Tomatoes, this one is perfect for snuggling in and watching with the kids (and you’re likely to enjoy it as much as they do!). Oh, and did we mention it’s nominated for Best Animated Feature? This may be the best rated movie you’ve never heard of (98% on Rotten Tomatoes, with a whopping 95% audience score). Free Solo is a jaw-dropping documentary that follows free-solo climber Alex Honnold as he prepares to climb Yosemite’s 3,000 ft El Capitan rock face—without a rope. This film is equal parts gorgeous, inspiring, and terrifying. Seriously, just watch the trailer. We’re pretty sure that preview will be enough to convince you this is an incredibly compelling movie! • Robin Hood. This big-budget version of the classic tale was not popular with critics, but that doesn’t mean you won’t enjoy it. Stars Taron Egerton and Jamie Foxx. Starts February 19. • Anna and the Apocalypse. It’s billed as “A zombie Christmas Musical.” Both a critical and audience success, this combination horror comedy musical is both offbeat and original. Starts February 12. • Shoplifters. From renowned director Hirokazu Kore-eda, his latest work has been called “deeply affecting.” Shoplifters has a 99% Certified Fresh score and a 90% audience score. Starts February 12.